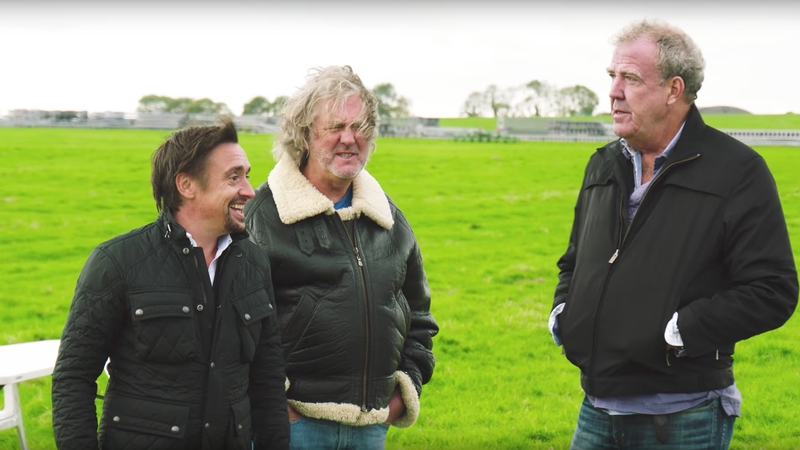 It’s been a little over a year since Jeremy Clarkson, James May and Richard Hammond returned to us with their new show on Amazon Prime, The Grand Tour. And this Friday, Dec. 8, the show will return for its second season. What are you hoping to see? We’ve already gotten a heads-up on some pretty big changes that will occur in this upcoming season: the tent will no longer travel, Celebrity Brain Crash is gone (thank effing God) and The American aka Mike Skinner got cut. Little by little, the show’s very hype-aware producers have been pushing out teasers to juice up anticipation for the premier. We’ve learned that a celebrities segment will be back, and perhaps they will be driving half an Alfa Romeo, or a Halfa Romeo, if you will. There will be a new hot lap driver. It might be Mark Webber. Personally, I thought the first season of The Grand Tour was fine. It was really dumb and corny in some parts and wildly entertaining in others. And just like the issue I ran into when with previous Top Gear episodes, I can’t actually remember any one episode specifically, but I can recall a handful of fun segments instead. In a perfect world, I’d want every episode of The Grand Tour to be like the holiday specials: the team would be assigned to a foreign country, and they’d go there and explore what kind of cars and fun could be had. But early clips show that that won’t be the case. We’ll likely get a familiar format of challenge/new car/test the new car/celebrity/finish challenge—not necessarily in that order. But, man, does the trailer for the second season makes some big promises. Sweeping landscape shots, beautiful scenery and general mayhem mixed with the threat of bodily injury. This is why we watched these three goobers in the first place. 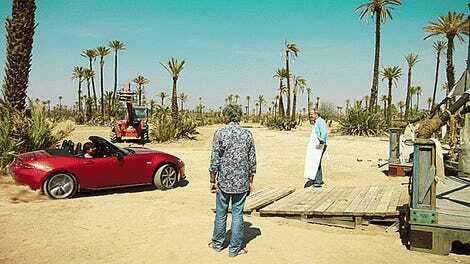 That aside, though, the first season of The Grand Tour always felt like it was tiptoeing around Top Gear. I’m sure a fair amount of that was my own projection onto the show, but you can’t deny that Celebrity Brain Crash was a direct dig at what they could or couldn’t say on the show to avoid being sued for copyright infringement by the BBC. They still had a track and a driver to set hot laps with. Still a live studio audience. It was a disappointingly familiar formula. Why fix something that isn’t broken, I suppose. Having accepted that, however, I’m looking forward to a car show that a nearly unlimited budget can bring. Cars that nobody gets to drive, flung about with reckless abandon. Remote locations that I’ve never even heard of—much less dreamed of—to drive through. I want season two to fulfill every gearhead’s fantasy, because these guys have the ability to do it. It’s a big responsibility. Not everyone will be happy with it. I’ll chalk the bad dad jokes and cringey segments from the last season up to growing pains. I hope the show will feel more filled out and comfortable with itself on this go-round.